The above info came from Youkairu Taisho, and was edited by yours truly (contact me). The image came from Amazon.com. 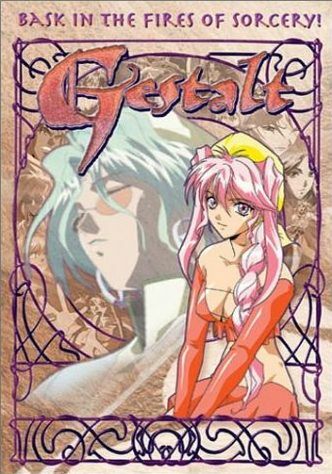 Olivier is a young priest who has left his order to discover the truth about a fallen god named Gestalt. In a quest to discover the truth about the land called "G", He meets a pink-haired sorceress named Ohri who has been put under a silence spell. They run into all sorts of evil people, but just like every good anime, it has it's cute baddies. Gestalt, the fallen God, is he truly the fallen one? Find out and watch, Gestalt! The above description came from Youkairu Taisho, and was edited by yours truly (contact me).